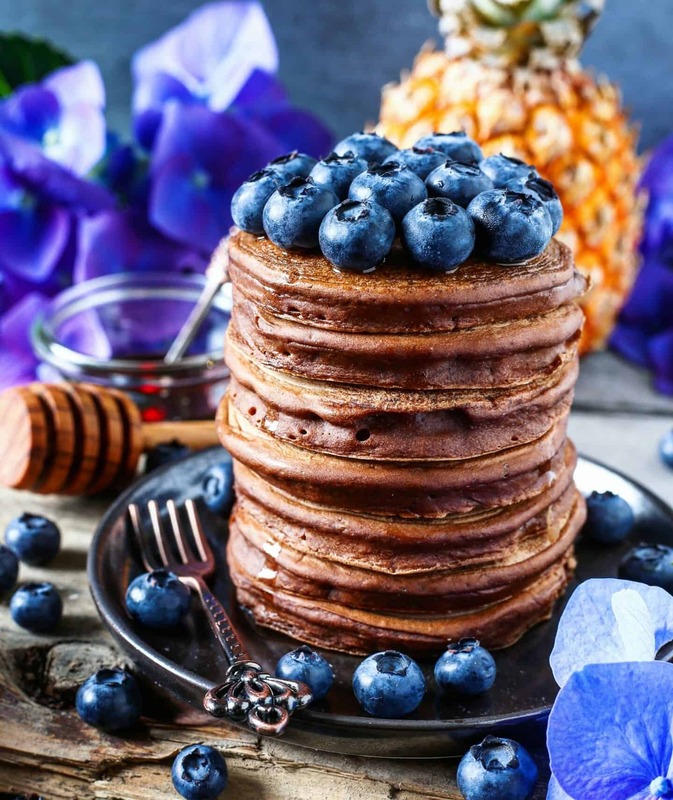 The BEST recipe for Vegan Chocolate Pancakes! 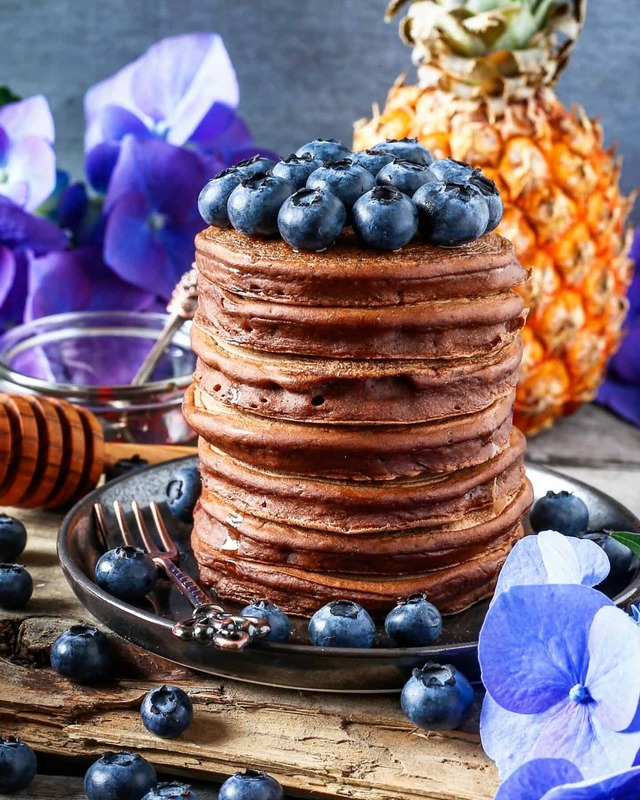 These chocolatey Vegan Pancakes are very easy and quick to make and so delicious! They’re egg-free & dairy-free! Stir egg replacement powder (or mashed banana) with milk, water and sugar. Combine flour, cacao powder and baking powder separately and then add to the milk mixture. Let the dough chill for about 10 minutes. Heat up coconut oil in a huge Pan on a medium heat. Now put about 2 tbsp of the dough for one pancake into the pan. As soon as you see bubbles on the surface, flip the pancakes (after about 2-3 minutes). Serve pancakes with coconut blossom syrup and blueberries or other toppings of choice. So glad to read that you liked the recipe. Thank you for your feedback! ?